It's easy to get caught up in the social buzz. We love real-time engagement and the simple fact we can get a tweet, reply or retweet within seconds when we're having a gloomy day or simply need an ego boost. Klout, Peer Index & Kred influence scores, tweets, retweets, likes, comments, shares, pins, Diggs, Google +1's, Stumble's and the list goes on and on. Imagine what this list will look like in two years from now? Gives me a headache just thinking about it. We offer businesses a service where we analyze and assess their existing social media strategy and provide recommendations for improvement. We base such recommendations on their business goals and objectives. We look at the client's existing efforts, their social platforms, conversations, and how the community is engaging and responding to their efforts. In doing such analysis we have been shocked how many businesses are 100% confident they are on the right track. Many of them are proud of their influence scores, they brag about retweets and top influencers who they are engaging with. What happened to the business and marketing plan? However, when asked for their business or marketing plan they don't have one or it's a work in progress. They often struggle to provide basic goals and objectives or a simple summary of their audiences. Yet they are spending hundreds of thousands on a social media and web team. A social media team that is chartered with helping the company meet objectives that are not documented nor clearly understood by even one person on the team. Note, this scenario is not just small mom and pop shops, but businesses of all sizes. Some new in market and many are leaders or soon to be leaders in their niche. Bottom line, they should know better. They seem to have thrown out business and marketing 101 with the bad economy. If you do the double click on these organizations and spend even a few hours with them, it becomes obvious why they have no conversion funnel, email opt-in list or basic results. Their website is developed using technology of yesterday. They are researching engagement and measurement tools before they know what to measure or why. They lack the most basic skills for web development and social integration, communications, brand and message development, email marketing, and marketing in general. Combine this with the lack of goals, objectives and understanding of their own market and competition and it's often shocking. They are all running around busy, feeling productive yet the truth is their days are mostly spent on Random Acts of Marketing & Social Media (RAMs). RAMs are not good for organizational health and will eat every last morsel of positive return on investment, relationship, action, or however you may like to measure return! Because they don't have a business plan, or even a basic understanding of their target audiences they have no priorities. They are trying to be everything to everyone. Yet, they are well on their way to being nothing to nobody. My point is that if you are only talking to yourself all day and ignoring your target audience or leaving them out of conversation because you have no understanding of what they want to talk about or what they need then it is highly unlikely you will ever see a solid return on that social media and web team you just hired. At some point you need to have a relevant conversation with the right people. These businesses are skipping the entire planning process. They are addicted to the real-time buzz so much they can't turn it off. It's like a bad IV that is stuck so deeply in the vein that removing it will not be easy. The CEO, CFO, EVP Sales are all addicted to the numbers. They like the retweets and the fact their Twitter following is growing. I am not discounting the importance of the community based metrics. Community metrics are a foundation to the metrics and goals at the top of the pyramid such as revenue, ROI, brand equity, customer satisfaction etc. However, what I am stating clearly is that if you are only basing your success on retweets, influence scores and popularity then you are standing on unstable ground. If you really want to become a social business, you must be open to a mindset change. Do you have the guts to sit thru an entire meeting with factual data of what is really happening in your social world. Any good agency or consultant worth their Twitter handle should have the guts and knowledge to provide you the real data, and help you set priorities and decisions for how to best embed social within the DNA of your business. Because we are quite picky who we work with on these types of engagements, 97% of business leaders are ready to get real with the data and results. They are thrilled to finally have help in how they can better integrate social into their business. After they see the data they are open to “slowing down to speed up.” They know they need to plan, set goals, integrate, align and better organize and staff for success. However, there is still the 3% who wish they could put us on mute during the data review meeting. They would rather go about their happy retweeting, influence score measuring ways. To them we say “good luck and let's revisit this situation in a year and see how it works out for you.” They usually come back a year later stating “wow, I wish we would have listened to you…. can you please help us?” Of course, if they are ready to make the mindset change we will usually take them back on with open arms. Is this you or your business? Do you think maybe you are falling victim to retweets, replies, mentions and influence scores over real business? If you answer yes, then I will congratulate you! Acknowledging is the first step toward social buzz recovery! Here are 20 tips to get your social media efforts onto the right path. Don't give up. Don't start completely over. You can still leverage what you have done. However, you must get a grip before it gets more out of control and you have wasted even more time and money. 1. Acknowledge you are addicted to the social buzz and need to get a grip. 2. 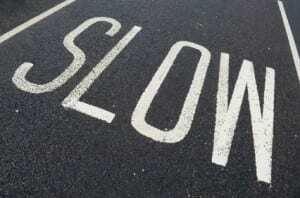 Accept that it is alright to slow down to speed up. Slowing down will bring you better results even in the short term versus continuing on the same random RAM path you are on. 3. Social media plugs into your business. Your business does not plug into social media. Do not try to fit your business into Facebook. Fit Facebook, LinkedIn, Twitter, Pinterest into your business, not the other way around. 4. Take inventory of all available data and metrics. What tools do you have access to? What data and reports can you access? Track these in a spreadsheet with specific summary of the data and source. Do a quick analysis and summary of key metrics. What have you learned to date? Where do you need to improve? 5. Get focused on business goals and objectives. If you have a plan, get it out. If you need to write one, then write one. Do not pass go or move to step #6 without this step. Take the time to ensure all stakeholders and key team members are trained on the plan and can recite the top goals and objectives in their sleep! 6. Know your audience. You MUST have a clear understanding of who you want to inspire and connect with. Download and use this worksheet I created to help you succinctly summarize the audiences and objectives for each. We utilize the Forrester Research POST methodology. The worksheet is based upon such. 7. What objectives do you have for each audience? What objectives does each audience have for themselves? 9. Do a sanity check on your business plan, goals, and objectives. Does the data you have thus far support your business objectives? Were your assumptions made on audiences backed up by the engagement data you have thus far? Leverage your existing data the best you can to learn and optimize. 10. Get real with your engagement metrics. Who are you talking to on the social networks? Are you spending more time talking to yourself and your partners who are already in your circle of friends? Or are you also engaging your real clients, prospects, key influencers and others who will actually help you meet business goals and objectives? 11. Get real with your conversion funnel. 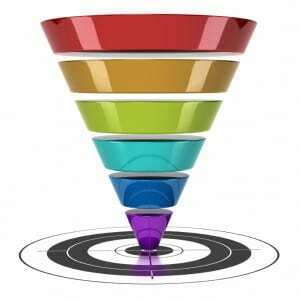 Do you have a conversion funnel? Do you know what action you want your community, readers, audience to take? Should they opt-in to your email list? Do you want them to watch a video, subscribe to a video. You must get very specific here. If you have gaps you MUST slow down to speed up. Get your email service up and running. Setup the email templates as you have planned to do the past year. Set goals and objectives, metrics and a measurement system. 12. Get real with your team skill set and available resources. If your team doesn't have the necessary skills to enable success then you must either train them or figure out how you are going to obtain the necessary skills. This may include terminating employees or re-assigning them to different roles. Without the right people to do the planning, integration, execution and measurement you will continue to struggle. 13. Implement necessary changes immediately if possible. For example if your online covnersations are falling unequally away from the top three priority audiences you identified then you need to do a reset immediately. You don't have to stop talking to the inner circle. You simply need to mix up the conversation so it is more balanced toward the audiences you have identified as a priority to help you meet business goals and objectives. 14. Identify what you want to measure then figure out how to measure it. Don't waste your time researching social measurement tools until you know specifically what you want to measure. 15. Ask the WHY questions. Check out this blog post for some guidance. Why should your audience listen to you? Why should they share your post? Why should they care about a word you have to say. If you don't answer this question, it's honestly all for nothin'! 16. Remove the RAMs from the list. 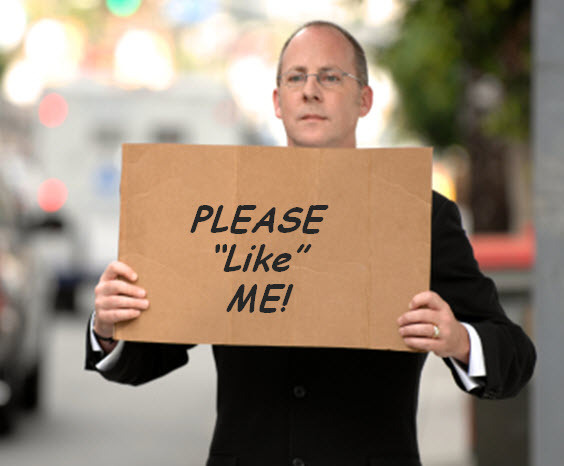 If you are addicted to Random Acts of Marketing then it is time you stop. Remove anything from your “to do” list that is not in budget, aligned with your plan or have supporting goals, objectives and plan for measurement of results. 17. 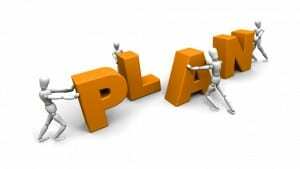 Develop a revised social media plan. I do not have time in this blog post to write a plan. However, you must find the time to do such. If you have no idea how to do this then get help. 18. Get started on Plan B. If you have made it this far, congratulations! This is the plan that will succeed if you do it right. Integrate it with your business, focus more on your audience, their objectives and align them with your business goals. Don't just focus on the tools and technology. 19. Get the help needed. Hire an agency or consultant who can help you. Make sure they have the know how to not only analyze what you have done to date but also help you build a plan to help you optimize and improve with a goal of further integration of social media into your business. 20. Enjoy the ride. Social media business integration does not happen overnight. You might as well suit up, strap in and get ready for a fun ride. It's all how you look at it. The tweet glass is either half full or half empty. I choose half full. How about you? This is the 7th in a series titled “How to Get a Grip on Social Media.” The series will include a free newsletter, webinars, whitepapers, tips and best practices to get a handle on your business and social media. @cbmatthews great to hear. Glad you liked it. Are you seeing similar scenarios? @NoMossBrands 🙂 Glad you enjoyed! @PamMktgNut Love your social buzz post…especially creating the conversation funnel. Always recommend that to our @Socialbuzzclub members. Love to have you check it out and let us know what you think. @matt_kay Thanks for all of your tweets and RTs! 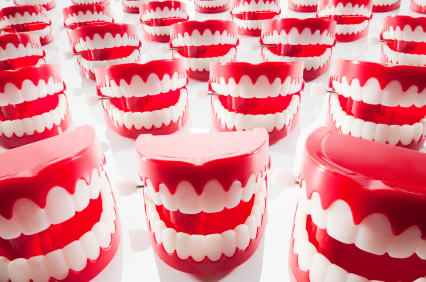 @ckburgess @PamMktgNut nice article. Firms lose site of creating & achieving objectives via social. They develop a presence w/o a strategy. As a PR practitioner, I have always found it interesting to work with people who just want to jump in. So and so is doing it therefore, they must do it. You are absolutely right when you state that knowing your audience is absolutely key. There must be some interesting research which would suggest why this is so common place. I would love to read that if there were such research.